Modern design, high quality materials and an detailed finishing of the upholstery as well as mechanical and electrical parts underline the high standard of the comfort-line. Continuous adjustment to all sitting and lying positions. A 3-dimensional adjustable armrest, spring gas adjustable footrest as well as a leg adjustable headrest provide comfort for your patients. The base frame with a maximum safe load of 200kg offers a high stability also in the horizontal position. The chair is designed to assist and facilitate the work of physicians and medical staff. Trenderenburg (Tilting) position; Trenderenburg is available for emergency cases like anemia. 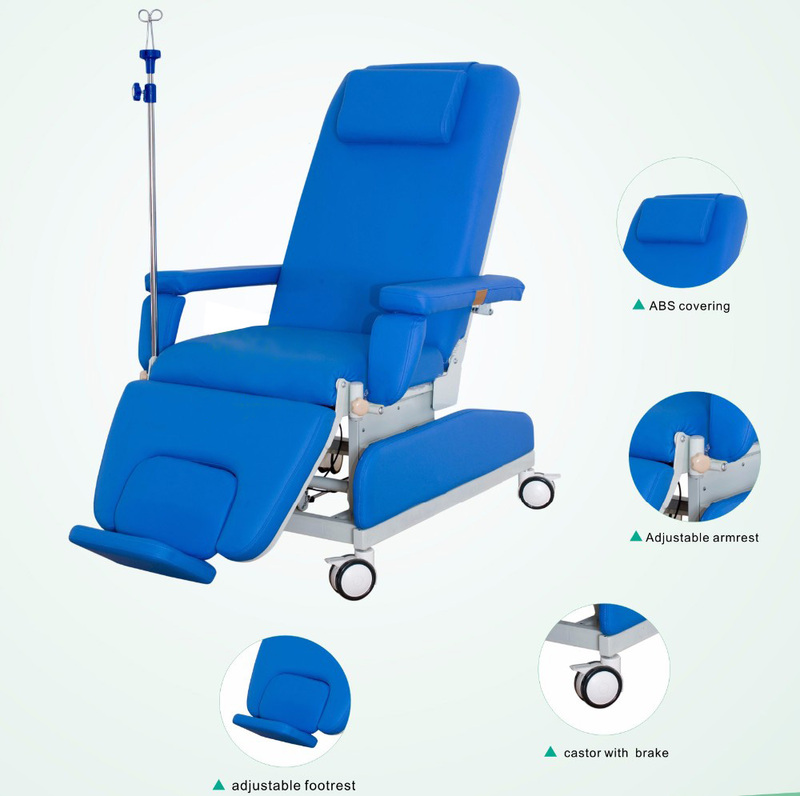 It is designed for being suitable for various medical uses, dialysis, chemotherapy, blood donor, etc.